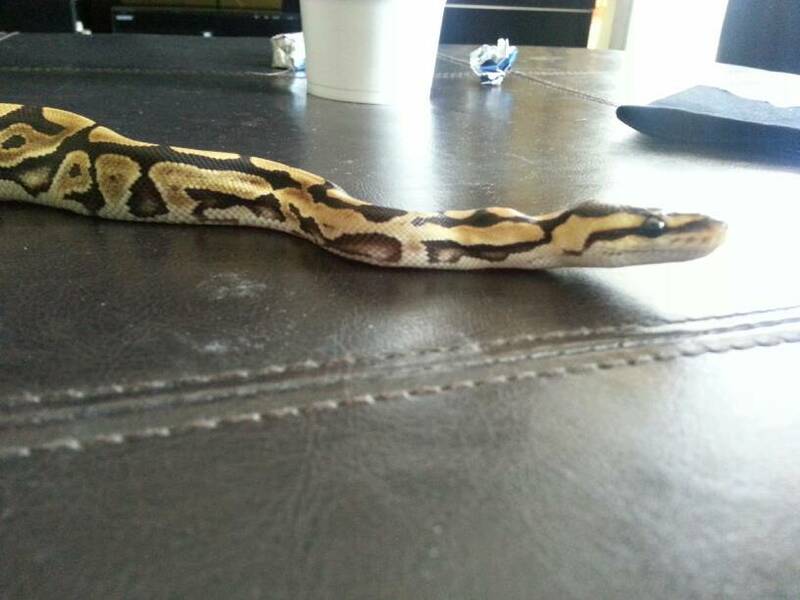 So shes been labeled a "gots something"
I have looked thru world of ball pythons and holy moly.. theres alot of morphs. But closest one to pattern similarities is the super splatter. Found a couple of pictures i had taken when she came home but forgot i had them. Is it not simply a nice normal? She is so freaking AWESOME! Give her some miracle grow..build a time machine..something! I need a YB from her lol! I know I said at first that it looked similar to NERD's bald gene but I think you are right it definitely looks more like the splatter gene. Too light to be the bald. Shes pretty neat looking. She is Beautiful I have a blushed out normal but she pales in comparison. Grow her up keep everyone updated. I agree with the yellow belly. Her color and pattern is too obscure to be normal. But i am so not sure. I just hope she proves out. I really dont think shes a freak normal. And if she proves, what i pair for her will be a story ro tell!